For those of you living in the United Kingdom, you’ll soon be able to try out Mario Kart Arcade GP VR without having to fly all the way to Japan. Mario Kart Arcade GP VR, a virtual reality experience, will be set up exclusively at Hollywood Bowl in The O2 complex. It’ll be ready from August 3, 2018. Tickets can be reserved online here. The globally popular Mario Kart Arcade GP has been reborn with the kind of thrill-packed action that could only come from a VR experience! Enter the Mario Kart universe you know and love and race to the finish line. 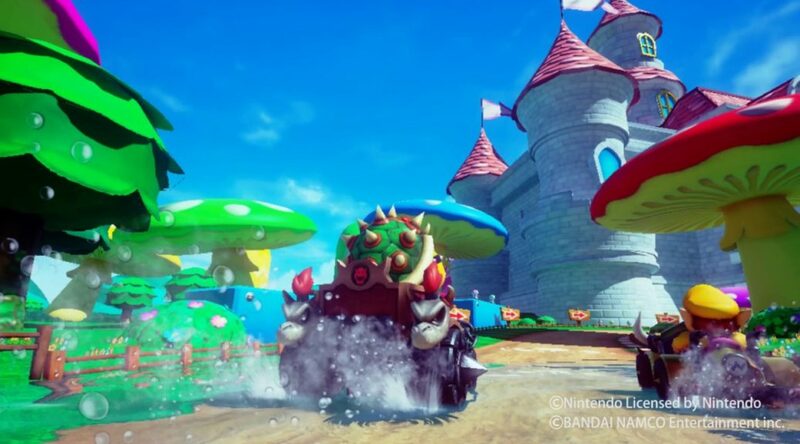 The course is filled with the well-known Mario Kart traps and tricks. Dodge giant Piranha Plants and Thwomps, leap over huge ravines, and watch out for Koopa as he tries to get in your way…. Launching 3rd August, exclusive to The O2.